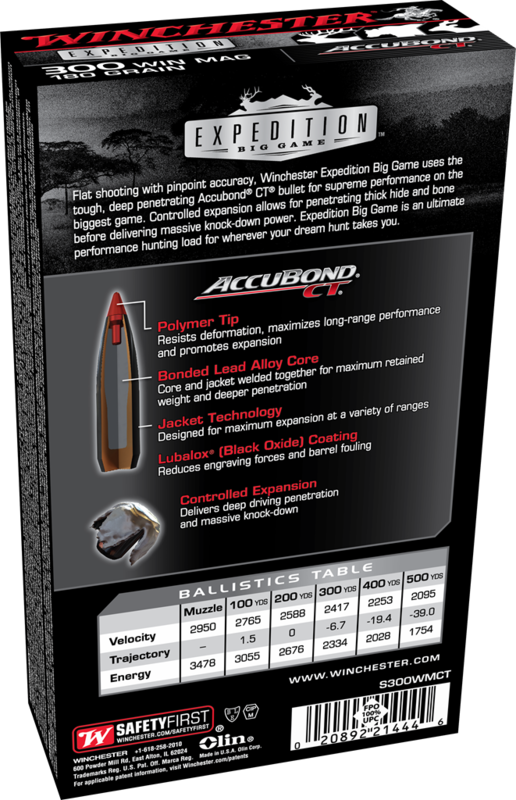 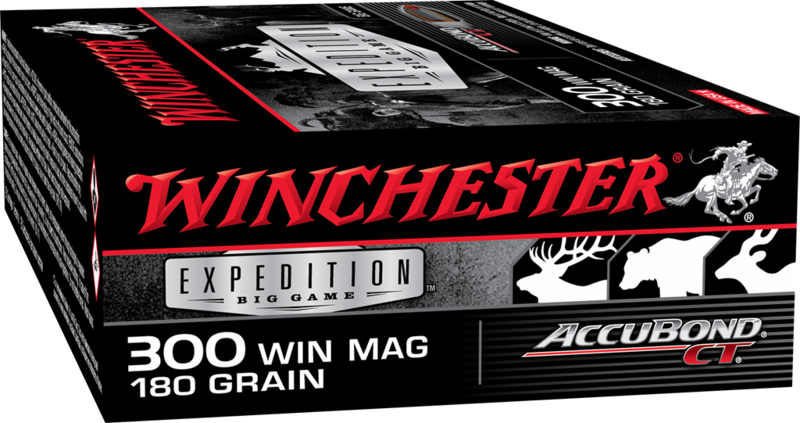 Flat shooting with pinpoint accuracy, Winchester Expedition Big Game Long Range uses the tough, deep penetrating Accubond Long Range bullet for supreme performance on the biggest game even at longer distances. 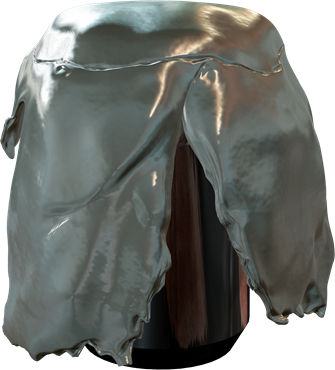 Controlled expansion allows for penetrating thick hide and bone before delivering massive knock-down power. 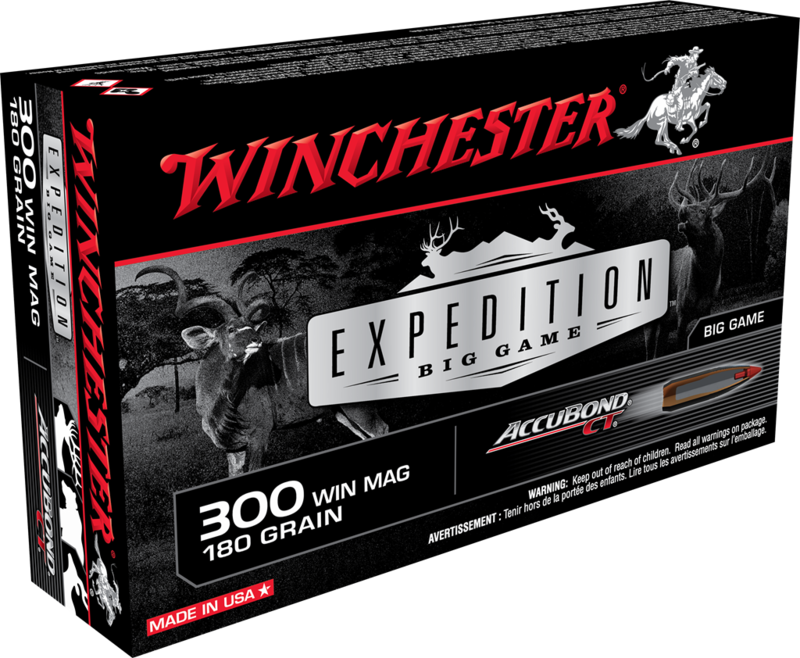 Expedition Big Game Long Range is an ultimate performance hunting load for wherever your dream hunt takes you.